It is an unfortunate truth that London residents often have to pay over the odds for products and services. However, there are ways of limiting your expenditure even if you do live in the English capital. Sometimes it is best to rely upon the personal recommendations of trusted friends and family members. On other occasions it may be best to conduct extensive online research. Those of you planning on finding a man with a van London should follow the money saving strategies outlined in this article. You may well be tempted by the surprisingly affordable hourly rates charged by some specialist companies in London. However, it is worth bearing in mind that surcharges are often added to cover the mileage and any equipment that may be used. You might even be expected to start paying for the man and van at the moment they leave the vehicle depot. It is for this reason that you should look for local companies. It would be particularly sensible to opt for the flat rate services offered by Happy 2 Move. You do have the option of using price comparison websites to search for a man and a van. However, it is important to remember that the owners of these websites often build business relationships with specific service providers. They might even accept payment in exchange for prominent places in the listings. The featured companies may also attempt to lure customers by offering unrealistically cheap services. You can rest assured that Happy 2 Move do not use such unscrupulous tactics. You can see our positive online testimonials as evidence of this. You may be interested to hear that the Happy 2 Move team have researched man with a van London service providers. We’ve come up with a list of prices which our nearest competitors struggle to match. 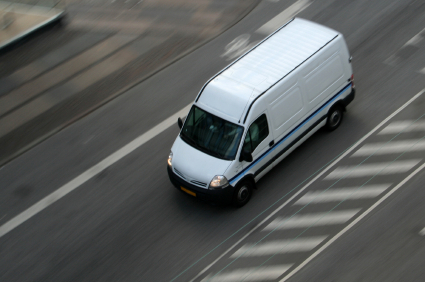 We’ll carry half a van load to your chosen London destination for £45. A full van load will be delivered for £65. This does mean that there is some value in loading items into your own vehicle. It would be a good idea to do the packing before one of our friendly van drivers arrives. You’ll then be able to follow them through the busy streets of London. There may even be time to count the money that you’ve saved after the safe delivery of your goods.